It is now known that repeated blows to the head can lead to severe brain damage even decades later. According to a recent study, traumatic brain injuries are particularly dangerous during adolescence. They are thought to increase the risk of developing multiple sclerosis. 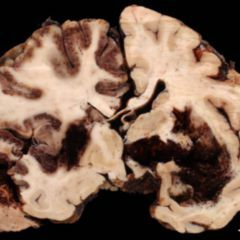 American football players end up having dementia and depressions after their career with unusual frequency. The culprit is the sudden violent impact of blows to the head or cervical spine such as professionals are exposed to during training and games over years. These blows not only lead to short-term symptoms of concussion such as headache, amnesia and nausea. The true extent is only revealed at some later time. 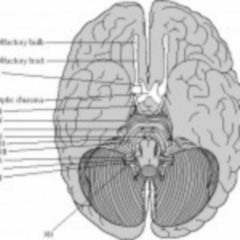 Repeated craniocerebral trauma (CCT) may years later lead to brain atrophy and associated memory impairment. According to one new study CCT during youth can also lead to unexpected complications. 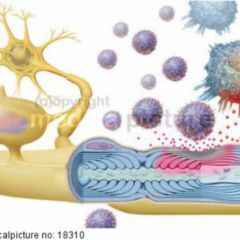 CCT allegedly increases the risk later in life of developing multiple sclerosis (MS). How do epidemiologists arrive at this conclusion? Prof. Scott Montgomery from Örebro University in Sweden and his team have evaluated the data from the national Swedish Patient and Multiple Sclerosis Registry. They identified 7,292 MS patients, each in terms of age, gender and place of residence being compared to 10 people who do not have MS. Thus, the total study population comprised 80,212 study subjects. On the basis of the data, the team led by Prof. Montgomery also recorded whether subjects had been diagnosed with CCT in their childhood (from birth to 10 years of age) and adolescence (11 to 20 years of age). The researchers also wanted to find out if there were any physical traumas that were not associated with the central nervous system (CNS) and increased the risk of MS. To this extent, data on broken limbs was included in the evaluation. The epidemiologists were not able to recognise any association between childhood CCT and increased risk of MS later in life. However when this sort of trauma was suffered between the ages of 11 and 20 the picture looked different. 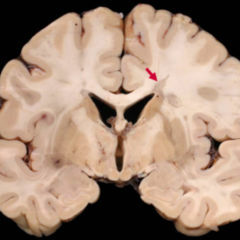 For people having had CCT in adolescence, the risk of developing MS increased by 22 percent. The risk even doubled again when adolescents repeatedly suffered from CCT. The result is statistically significant: the odds ratio (95% confidence interval) related to diagnosis of one CCT stands at 1.22 (1.05-1.42, p=0.008) compared to that where no CCT was diagnosed. If multiple CCT had been diagnosed, this figure is 2.33 (1.35-4.04, p=0002). No impact on this risk was seen with broken limbs. The scientists suspect that non-inflammatory CNS injuries such as brain trauma lead to increases of myelin specific T cells. These produce pro-inflammatory cytokines such as interferon-gamma, which destroys oligodendrocytes. These form the insulating layer around the nerves: the myelin sheaths. Inflammatory demyelination of the nerves is typical of multiple sclerosis. The exact cause of the increase in immune cells after traumatic brain injury however remains unclear. Prof. Montgomery explains that his study provides another reason for “protecting teens especially from getting head injuries. In particular when they are exposed to a high risk of repeated trauma in sports”. I have ADHD, OCD, depression, primary biliary cirrhosis (autoimmune disease) and ALS. I didn’t have health care I just thought it was a stroke, but it started with my voice. When it started to get worse I went to a neurologist. 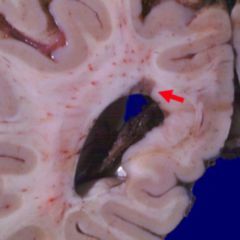 and was diagonised with amyotrophic lateral sclerosis. i was able to walk with assistance nothing was really working to help my condition.I went off the riluzole (with the doctor’s knowledge) and started on amyotrophic lateral sclerosis herbal formula i ordered from Health Herbal Clinic, Just 7 weeks into the Herbal formula treatment I had great improvements with my slurred speech, this is a breakthrough for all amyotrophic lateral sclerosis sufferers, visit Health Herbal Clinic official website www. healthherbalclinic. net or email info@ healthherbalclinic. net. The brain, eyes and ears, are our precious gifts from Nature. And should be handled with special care.